An hour boat ride from the resort, south of Rangiroa atoll, Le Sauvage is a private island where only five bungalows and a restaurant stand. Enjoy snorkeling, reading while swaying on a hammock, or gaze out at the horizon – feel the luxury of spending time doing ‘nothing’. After sunset, the only light is from the lanterns and the moon; complete darkness falls upon the island. The beauty of the stars above stands out in the dark. Spend time at this ultimate private hideaway apart from the modern daily life: no electricity, no cell phones, no e-mails to interrupt your time of tranquility. 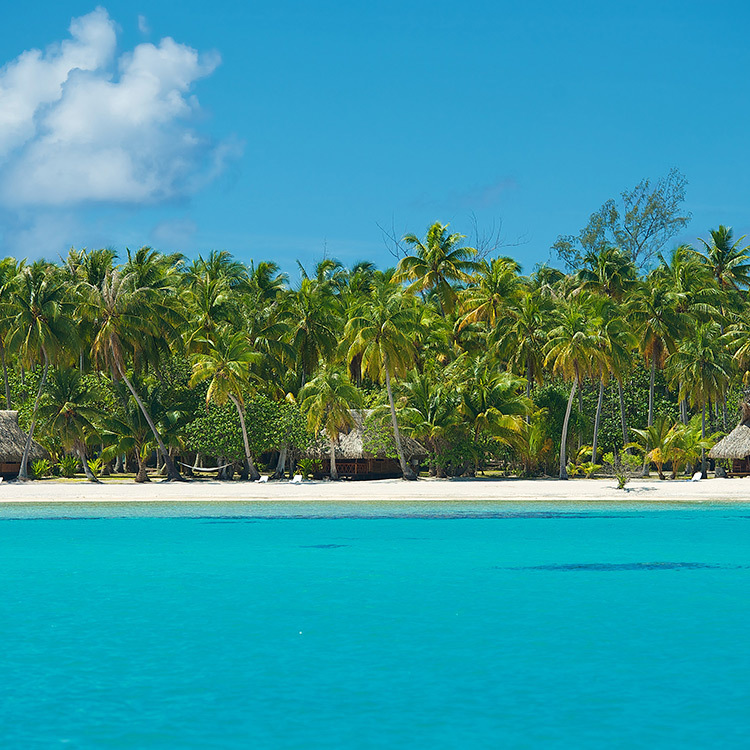 The secluded Le Sauvage Private Island is the ultimate Robinson Crusoe experience. Located on a small, private island across the way from sister property Kia Ora Resort & Spa, this intimate boutique hotel features only five beach bungalows constructed with traditional materials such as bamboo and exotic wood. The authenticity of this retreat captures the true essence of Polynesian living. The one thing unique to Le Sauvage Private Island is the limited use of electricity. You will experience warm South Pacific nights with nothing but the stars and a lantern to light your way. Each silent evening is best spent in the hotel restaurant and lounge, where you can gather to dine with the other guests and enjoy the company and musical talents of your friendly host family.